This volume offers four legends inspired by the four elements (water, earth, fire and air), which govern nature during the day and night-time in an Ibizan village. "The sheet of paper" narrates the life of a piece of paper released into the air. In "The spirit of the waters. Legends of the old bridge", the Drops, a group of ancestral imps, guard over the spiritual access to a village. In "The bell. Legend of Sa Iglesia Vella", the air, the water and the fire turn against the telluric foundations that hold up a church. Lastly, in "The crossroad", the fire and the demon are the lords and masters of St John's Eve. Was born in Palma de Mallorca on 3 March 1946. When he was four, his family moved to Ibiza. There he would reside with his maternal grandparents until he was seventeen, when he then moved to Barcelona to study for his degree in Architecture. Once he had finished studying, he lived in England for six months. 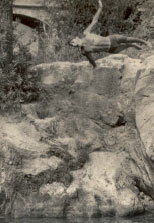 He also travelled around France, the Netherlands, Belgium and Germany. Finally, he set up an architectural firm in Santa Eulalia where, for over forty years, he has worked on the design, development and construction of buildings, aside from managing a small group of tourist apartments with his family. A lover of reading and sports, he currently lives in Santa Eulalia with his wife, Lillibeth, their son, Alejandro, three dogs and a cat. Los ángeles del equilibrio, El secreto de Hidrobes and Het schemerlicht. 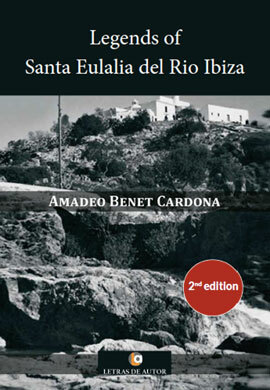 His latest book, Legends of Santa Eulalia. Ibiza, is a compilation of traditional stories.